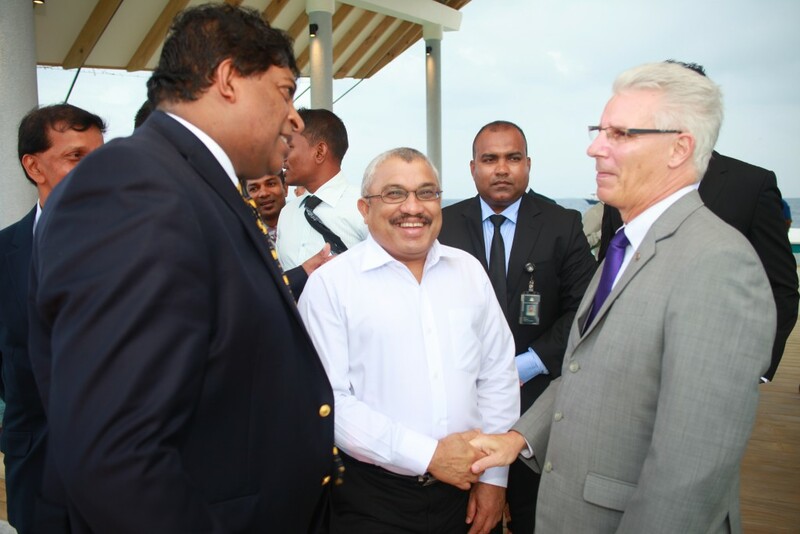 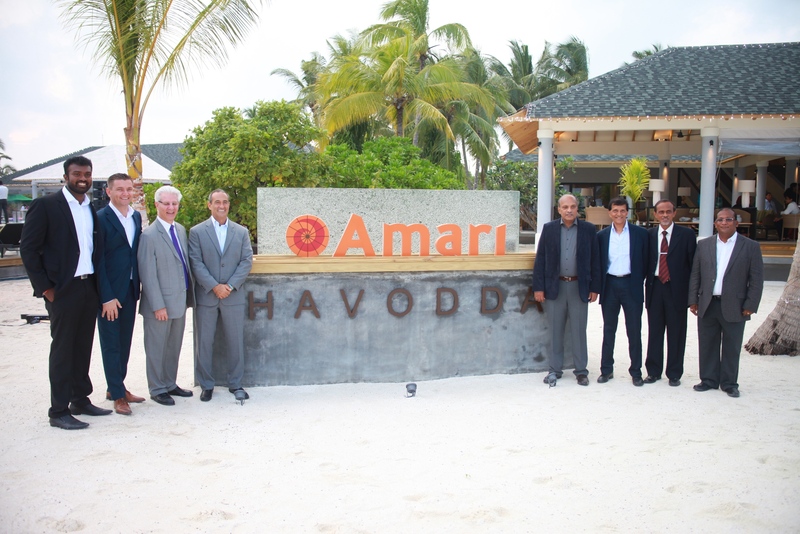 Ministers and dignitaries officiate the opening of Amari Havodda Maldives. 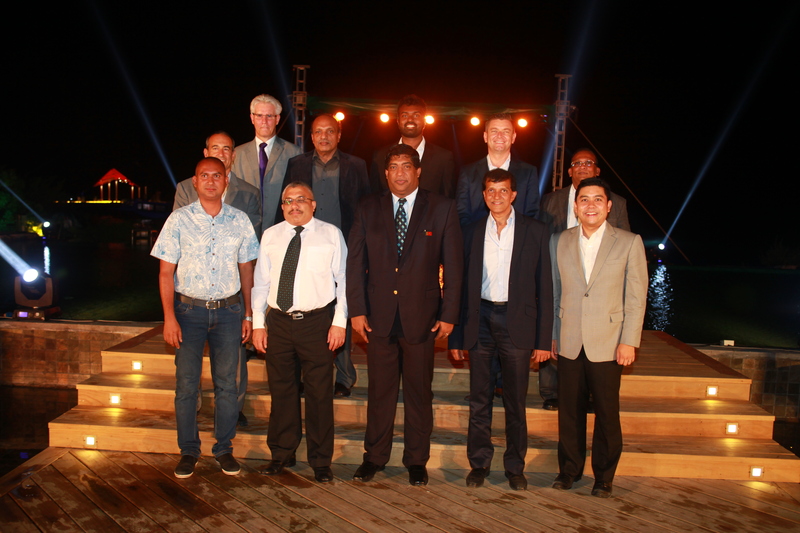 Front row from left: Hussain Lirar, Deputy Tourism Minister of Maldives; Abdulla Jihad, Minister of Finance and Treasury of Maldives; Sri Lanka Minister of Finance Ravi Karunanayake; Mahen Weerasekara, Chairman of Sanken Construction; Yuthachai Charanachitta, CEO, Italthai Group. 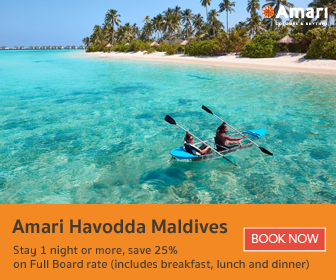 Situated on one of the most preserved atolls in the archipelago, Amari Havodda Maldives is an ideal hideaway within the pristine nature of the Maldives with its own house reef and uninterrupted views of the ocean and underwater life. 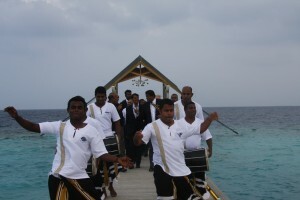 The resort features 120 guest villas with Overwater and Beach options. 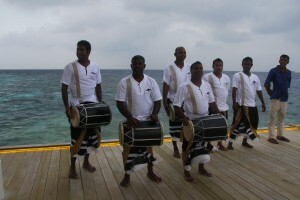 Culinary highlights at the resort include the Amaya Food Gallery which presents the street foods of Asia in a market style venue, Ember Robatayaki which is an island-style interpretation of the Japanese fireside cooking tradition, and Pizza Kaage, a poolside takeaway pizza pavilion. Amari Havodda Maldives is also home to Breeze Spa with six secluded treatment villas, a large infinity pool deck, extensive snorkelling, diving and watersports options around the island’s house reef. 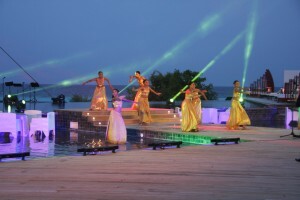 Save 50% on Full Board rates with 7 Nights Stay.